The flange sound has been with music throughout the ages - used on everything from vocals to drums, but a guitarist you might have heard of (Eddie Van Halen) showed us the only righteous place for flange is guitar! TC Electronics has combined a classic tape flange with the awesome TonePrint technology, giving you access to everything from through-zero flanges to customized rockstar sounds! 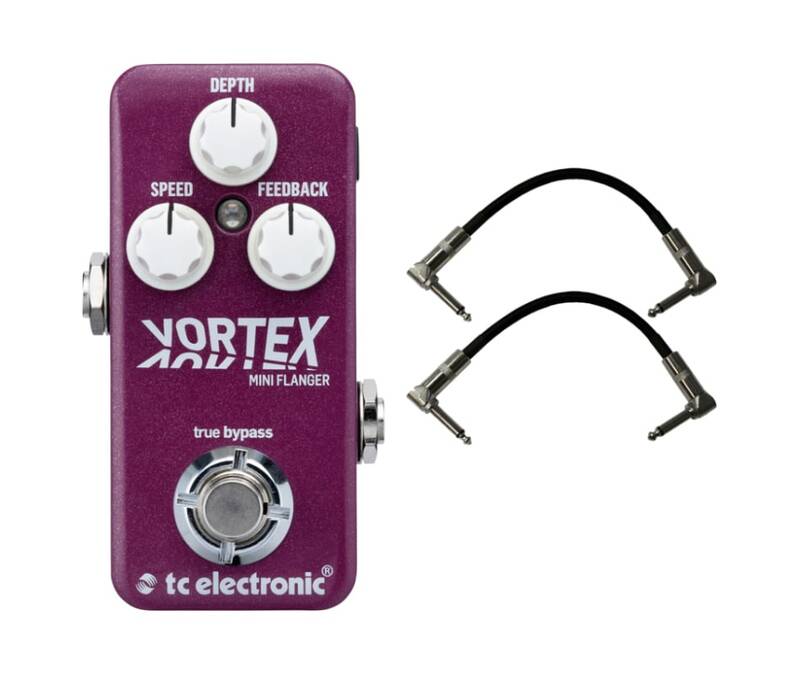 If we didn't know any better Vortex Mini Flanger could just as well be a time machine with all the diverse sounds it holds. You want a nice vintage vibed tape flange? It's there! You want a roaring 747 Jet-Flange, or maybe a nice modern hi-fi swirl? Yes, you guessed it, it's there! Due to the proprietary TonePrint technology, the sonic potential of this tiny beast is basically endless. So let your imagination run wild and go create flange awesomeness. 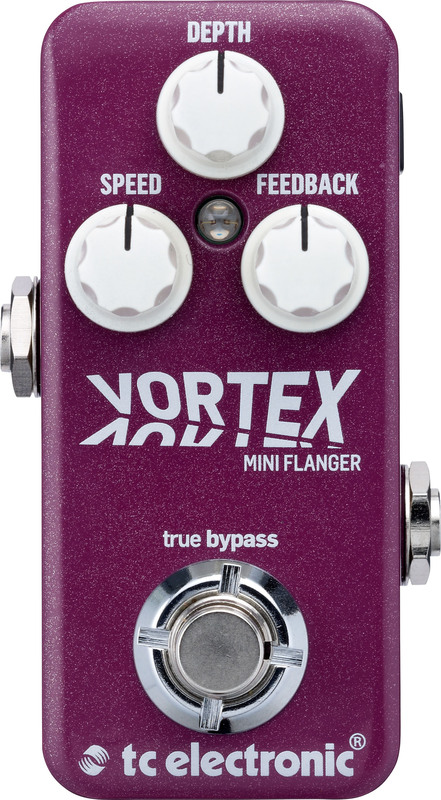 Put it in front of your amp or in the loop, Vortex Mini Flanger is equally awesome! Through-zero-flanger - get the authentic psychedelic flanger sound of the sixties.